Remember the famous Myleene Klass’ shower scene in I’m A Celebrity? Well it’s Jamie Lomas’ turn and he has a fan in camp who seemingly couldn’t resist a sneak peek. Made In Chelsea’s Georgia ‘Toff’ Toffolo, who is also in this series of the reality show, walked up behind the Hollyoaks actor while he was having a wash.
It’s likely to be an innocent bit of appreciation, considering Toff has a boyfriend back home though. I’ve been single for quite a while now. You just never know who you’re going to meet in there, and that’s the fun part of the show. I’ve always gone for the wrong women, but I like someone who likes a good laugh and I’m a sucker for a pretty face. Viewers recently discovered Jamie, who is one of the most iconic actors in Hollyoaks history, has a famous sister in Emmerdale. The I’m A Celeb star has a little sister who’ll be a familiar face to anyone who’s watched the soap any time recently. Jamie’ sister is none other than Charley Webb, who plays Debbie Dingle in the soap and has done since 2002, according to the Daily Mirror. She joined the cast at the age of 14 and has been showing up on screen for the past 15 years. Charley has been vocal in her support of her brother on Twitter and has been keeping up with him using the hashtag #TeamLomas. Jamie’s had a great few episodes after he became a fan favourite, thanks to his rapport with his fellow campmates during the walk the plank trial, in the first episode. 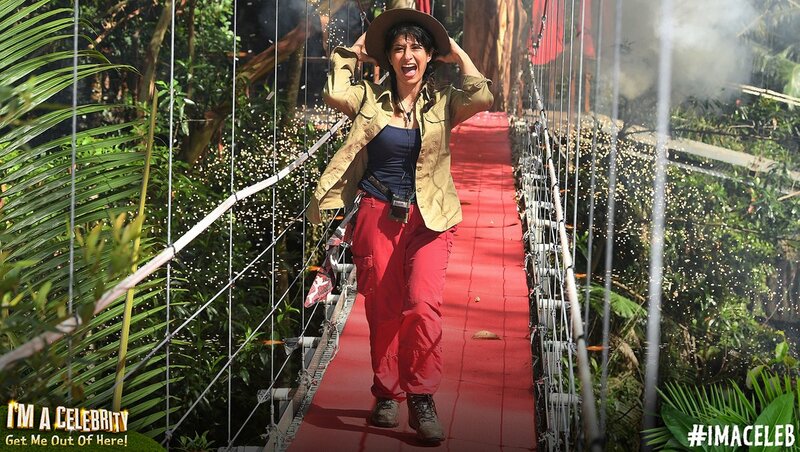 As long term fans of the show will know, the chaos gets underway with the celebs undertaking terrifying tasks before they even enter the jungle. Both Jamie and Toff have won over viewers this series with many fans of the show calling for one of them to be crowned king or queen of the jungle. Toff, who people probably misjudged before she went in have changed their minds thanks to her tough attitude. I love her! She comes across as a bit of a princess, but really she’s as tough as old boots! Jamie & Toff are my faves! Closely followed by Becks & Dennis! Toff or Jamie for me! The first contestant to leave the jungle was voted out last night. Comedian Shappi Khorsandi was booted out much to her own delight, it seemed. Do you have any idea what it’s like in there? They tortured us. There was no chocolate and no champagne. It messes with your head, it messes with your mood. She said the experience had been much easier for her than the other campmates. I think I got off lightly because I only got bitten by about 100,000 ants, some people had it a lot worse. The series continues tonight at 9.10pm on ITV.